An engineering design firm located in the A.L. 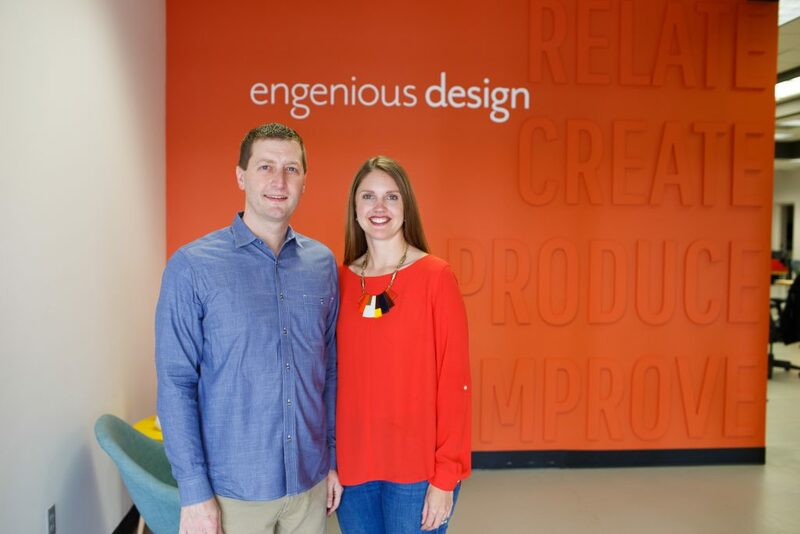 Huber space off of Interstate 435, Engenious specializes in designing, prototyping and testing products for a gamut of electronic medical devices. Co-founders Chris and Holly Justice never intended to start a company, but due to high demand in Kansas City’s limited medical device sector, the husband-wife duo started operating their business out of their basement in 2013. Soon after, Engenious began working through the University of Kansas incubator, the Bioscience Technology Business Center at the KU Medical Center. Chris’ background in electrical engineering and Holly’s background in graphic design and art direction made for an unlikely but innovative symbiosis. While the overlap of their skill sets wasn’t immediately obvious, the two combined expertise to found Engenious: a creative engineering firm. Engenious currently staffs 19 employees, complete with its own model shop and electronics prototype lab. 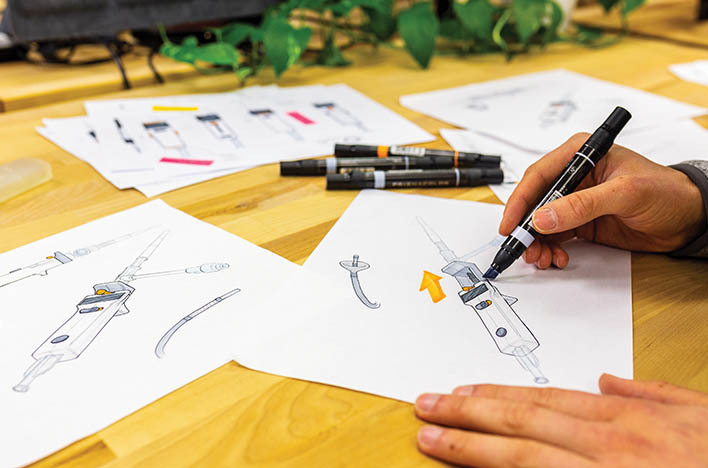 The engineers and designers draw up blueprints for an endless pool of projects, including mechanical ventilators, surgical tools, heart pumps, urology devices, patient monitors, cancer treatment products and solar home lighting systems. Due to the company’s creative dimension, Engenious puts a unique focus on consumer experience, which includes testing the look and feel of certain products as well as their functionality. Engenious also conducts focus groups with medical professionals to ensure their products are as user-friendly as possible. “A lot of our products are with patients for a long period of time,” Holly said. “They’re sent home with them from the hospital, and people become attached to them. The Justices hope to expand their staff and client base in 2019. While based primarily in Kansas City, Engenious’ designs have been produced by manufacturers worldwide, including China and India. They also get calls from the West Coast, thanks to Kansas City’s low regulatory overhead. By partnering with Midwestern companies, Chris explained, medical device companies out west can move to clinical trials more quickly and with lower costs. “We’re continuing to diversify our clients and at the same time have designers here to do the work,” Chris said. “We’re trying to grow in lockstep with each other.